Irish troopers, who formed the backbone of the 1st Dragoons, were generally recent arrivals from Erin’s green shores. In the old country, these men, mostly of peasant stock, had been steeped in the lore of the realm of the supernatural. There was the “Evil Eye”, a silent, fixed stare that was believed to be fatal if cast upon one sitting before a fire while the moon was full. A person who wished to avoid being falsely accused of casting an “Evil Eye” would say “God Bless You” when looking at another. A grudger had the ability to fix an evil curse upon one’s horse. The only known cure was to burn the grudger’s coat under the nose of the afflicted animal. The banshee’s lonely croon warned of an imminent death in one’s family. A horse with one foreleg and one hind leg stockinged was considered to bring bad luck to the rider. Riding a dead man’s horse was considered by the Irish to be a bad idea and, indeed proved to be for Trooper John Garven, late of County Tipperary, Ireland. In Irish folklore, the last corpse planted in a grave yard is required to stand guard over the site until the next corpse was buried. On October 15, 1855, in the post cemetery at Fort Tejon, Trooper Garven duly duly reported to relieve the recently departed Lieut. Castor from guard duty. The Civil War witnessed some amazing innovations in modern warfare such as the railroad, submarines, observation balloons and the telegraph. While not as successful as some of these inventions, James “Paddy” Graydon’s plan to deploy exploding mules on the battlefield receives high marks for its originality. Graydon sailed into Baltimore Harbor in 1853. 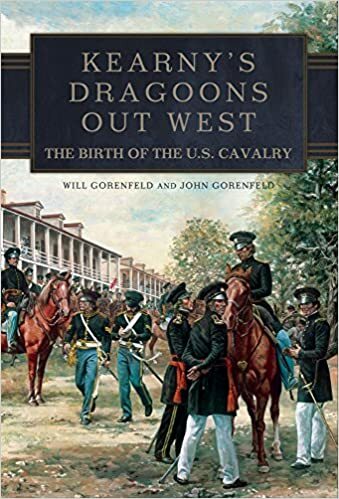 As was the case for many a lad fleeing from Erin—™s green shores, Paddy quickly discovered —œno Irish need reply.— Out of work, he enlisted in the 1st U.S. Dragoons. Sent to the harsh reaches of New Mexico Territory, Paddy soon became the bugler in Captain Richard S. Ewell’s troop. When the Civil War came, Ewell resigned his federal commission and became a Confederate General. Paddy, who had been honorably discharged from the Army in 1858 and had opened a saloon near Fort Buchanan, headed for Santa Fe where he gained a captain’s commission in the New Mexico Volunteers. Graydon, who spoke fluent Spanish, recruited a company composed of Nuevo Mexicanos, who functioned as an independent command. Its primary function was to watch for invading Texian troops riding out of El Paso. They did not have to look for long. On July 25, 1861, a Confederate expedition under General Henry Hopkins Sibley, a former Dragoon officer, entered New Mexico and proceeded to capture Fort Fillmore without having to fire a shot. The Rebel juggernaut steamrolled all Union resistance in its path and advanced up the Rio Grande Valley bound for Santa Fe and points west. During the ensuing months, Graydon’s scouts remained in the saddle, spying on the Rebel column and harassing it when the opportunity presented itself. On February 19, 1862, Sibley’s troops approached Ft. Craig. 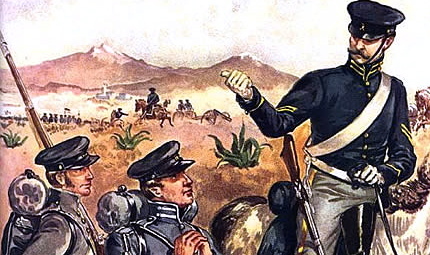 While the invaders slept in their camp across the Rio Grande, the inventive Graydon embarked upon a scheme to stop the Rebel advance in its tracks. He selected two mules that had been ridden too hard and put away wet. Paddy affixed several boxes of exploding cannon shells to the mules and led them across the river. Easing silently past the sentries, he reached the outskirts of the camp. Graydon lit the fuses of the cannon shells and set the mules into motion toward the camp of the sleeping Texians. So far, so good. As Paddy was heading back across the river he heard a rustling sound in the sage that was fast approaching from the rear—”it was the two mules. Graydon spurred his horse down the banks and into the river with the mules trotting fast behind with their fuses fast burning. Suddenly there came the great roar of an artillery battery. Not exactly a battery, but in a sense this is pretty much what it sounded like. The Rebels jolted out of their blankets sprang to arms and ran in every which direction. So did their horses and mules. Many of these critters ended up in Yankee hands. Alas, these late night antics did not hamper the fighting abilities of Sibley’s forces. As General Sibley lay in a drunken stupor, his forces flanked the Yankees at Val Verde and forced them back into their fort. The Rebels continued their march up the valley, capturing Albuquerque and Santa Fe in the process. Once again Grayon’s company, minus two mules, rendered valuable service as it scouted and raiding the Rebel column. Sibley eventually met his Waterloo at Glorieta Pass on March 26-28, 1862. As his defeated and worn troops retreated back to Texas they were repeatedly raided by Graydon’s pesky troop. Paddy Graydon exited the stage in few months later when he was killed in a frontier duel with an army surgeon.